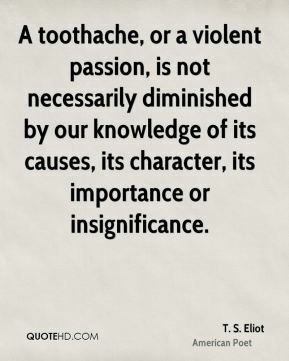 A toothache, or a violent passion, is not necessarily diminished by our knowledge of its causes, its character, its importance or insignificance. 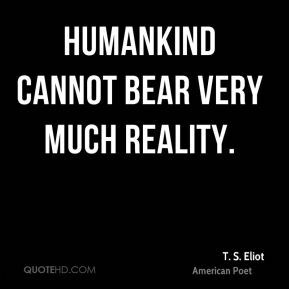 All significant truths are private truths. 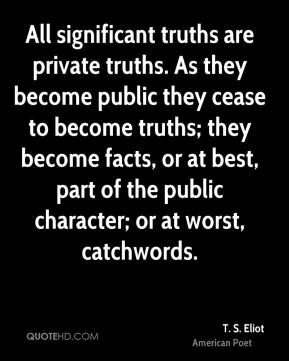 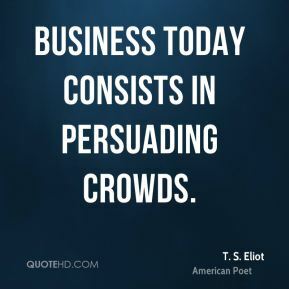 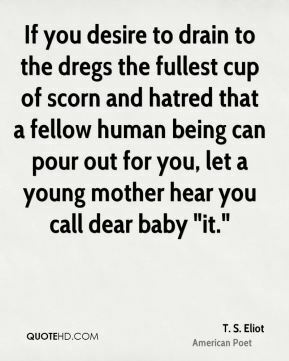 As they become public they cease to become truths; they become facts, or at best, part of the public character; or at worst, catchwords. 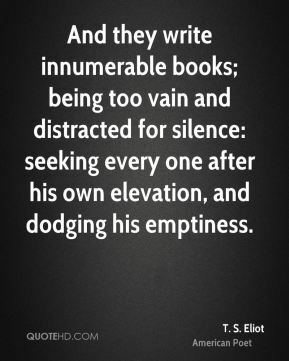 And they write innumerable books; being too vain and distracted for silence: seeking every one after his own elevation, and dodging his emptiness. 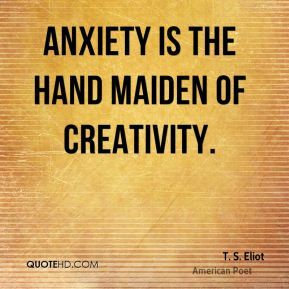 Anxiety is the hand maiden of creativity. 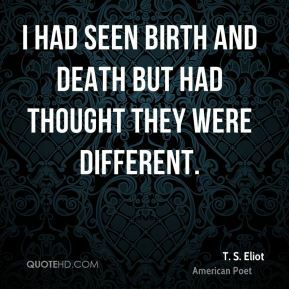 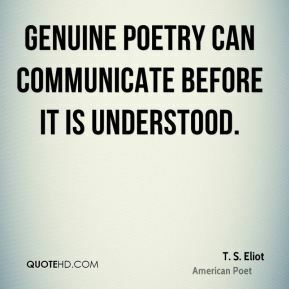 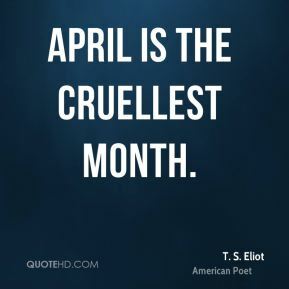 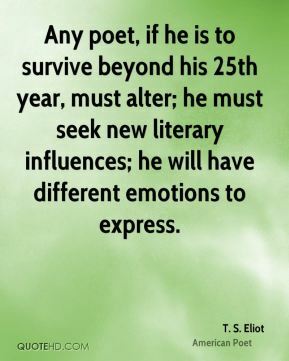 Any poet, if he is to survive beyond his 25th year, must alter; he must seek new literary influences; he will have different emotions to express. 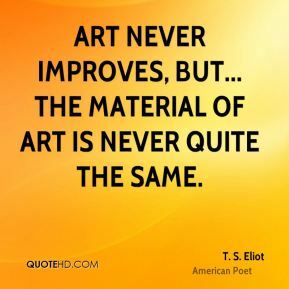 Art never improves, but... the material of art is never quite the same. 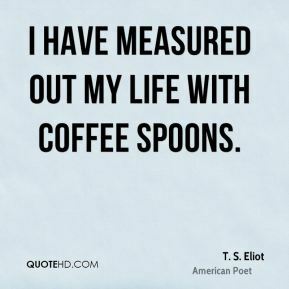 As things are, and as fundamentally they must always be, poetry is not a career, but a mug's game. 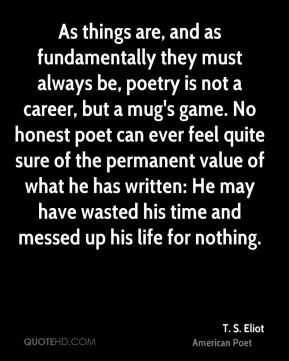 No honest poet can ever feel quite sure of the permanent value of what he has written: He may have wasted his time and messed up his life for nothing. 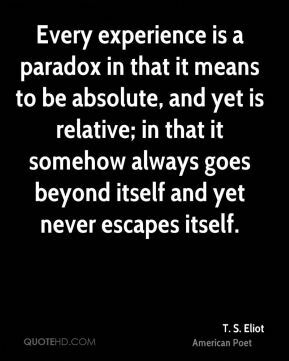 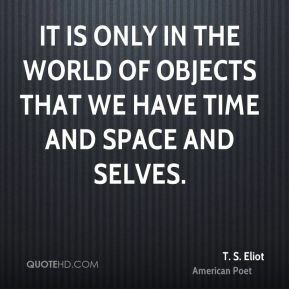 Every experience is a paradox in that it means to be absolute, and yet is relative; in that it somehow always goes beyond itself and yet never escapes itself. 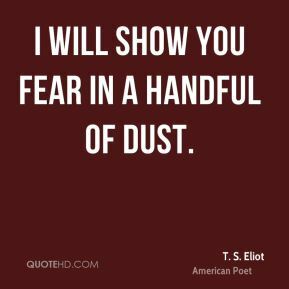 Half of the harm that is done in this world is due to people who want to feel important. 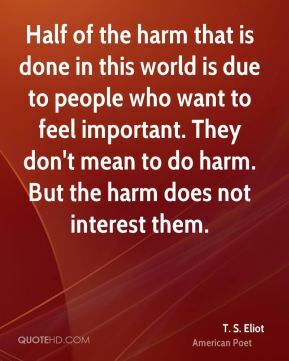 They don't mean to do harm. 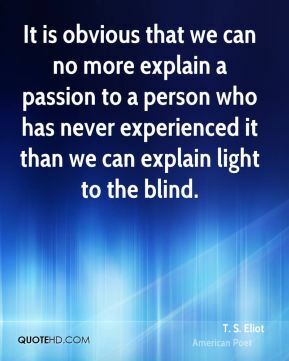 But the harm does not interest them. 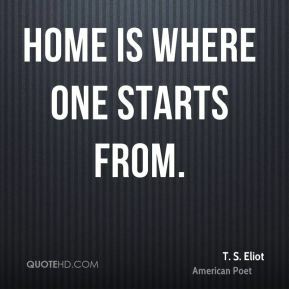 Home is where one starts from. 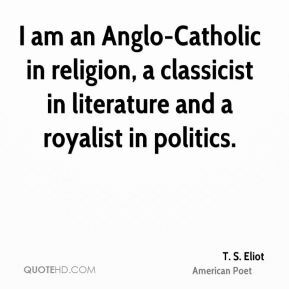 I am an Anglo-Catholic in religion, a classicist in literature and a royalist in politics. 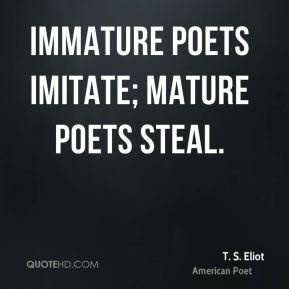 I don't believe one grows older. 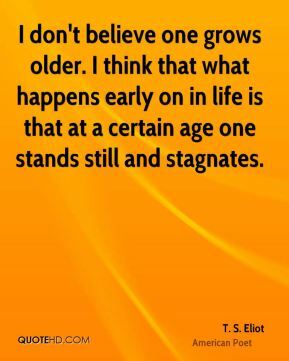 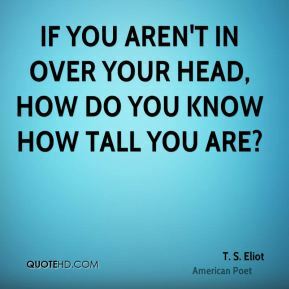 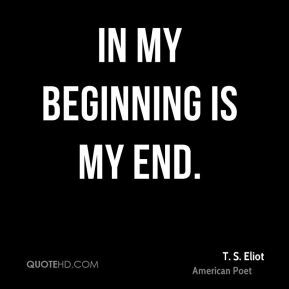 I think that what happens early on in life is that at a certain age one stands still and stagnates.